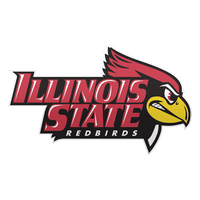 All the guys in this thread are guys one of our coaches have followed on Twitter or that a HS or AAU coach have indicated the Birds have contacted the player. Usually if a player has his own thread, we’ve offered him. They are based on who the coaches are following on twitter. Tai Young wrote: Brenden Tucker is the ultimate love/hate player for opposing student sections. Many times throughout the game I could see mood swings happening with some students in the stands. The Dacula guard has some Russell Westbrook to him in a sense that some fans love to hate him while others hate to love him. It's to the point that I think the opposing team's fans may push his buttons just so they can catch a highlight dunk on their phones a few plays later. Last edited by Bird Friend on Tue Apr 24, 2018 9:55 pm, edited 1 time in total. In 2019 we should be set on guards. Obviously, you never know what could happen, but it is looking like Hilsman, Boyd, Copeland, Clarance, and Jefferson will all be here ready to go. For class balance, I'm sure it'll help to bring in a true PG freshman to learn and develop behind these five. But the 2019 class' main focus should be the wing, and forward positions. Is there even room for another big AND Payton should he recommit? Payton would fit that wing/stretch four mold. Another Rey in the 2019 class would be beneficial as well. We'll need size. We'll have a lot of long guards but need someone who can block shots/rebound. AND Payton should he recommit? I'm really concerned that we still don't have anyone to neutralize Krutwig. We need a big quick body. Rey is fast and big. Not sure about anything else but that was clear in all of his tape. Rey’s not a coke machine, but he’s not going to get pushed around. http://www.verbalcommits.com/players/de ... len-eikens (VC has him as a 2018 grad, but he opted to go prep school).